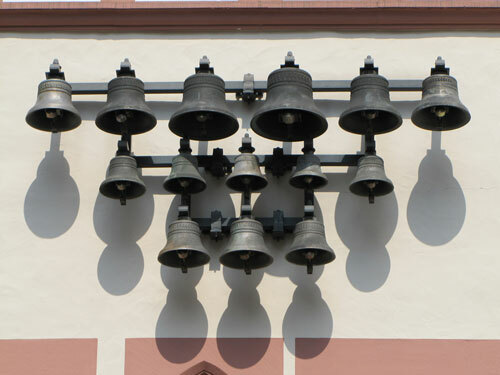 The Steipe gets it name from a Trier dialect word which means (arcade) supports. 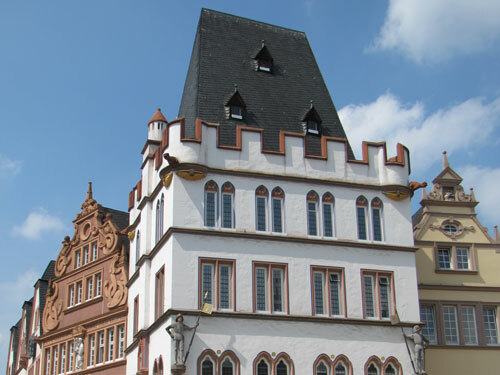 It was a building for ceremonial functions for the city councillors and dignitaries and contained drawing rooms and refreshment rooms. 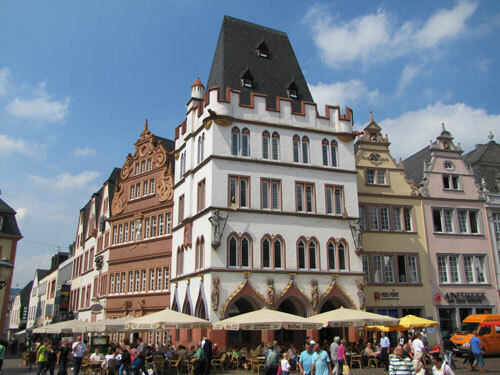 The structure at the corner of the Main Market and Dietrichstrasse was dedicated in 1483 after a remodelling of a 50-year-old structure. 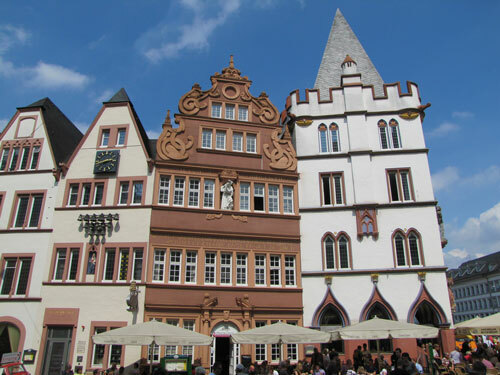 The building was destroyed in 1944 and rebuilt in 1970. 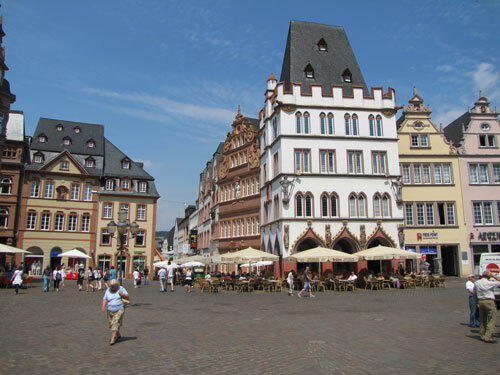 It is surely one of the most significant buildings on the Main Market. 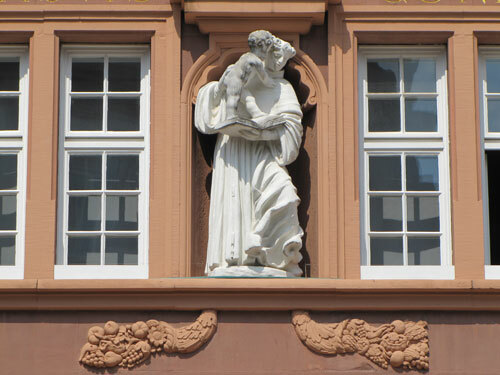 The sculptures portray saints who were important for Trier's early development; the originals can be seen in the Municipal Museum Simeonstift. 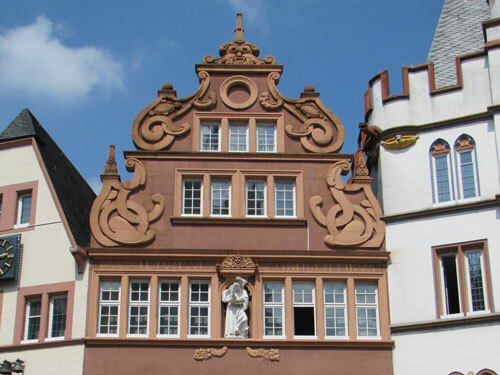 The house of the bakers' guild master and secretary of the cathedral chapter, Johann Wilhelm Polch, is call the Red House, designed by Wolfgang Struppeler. 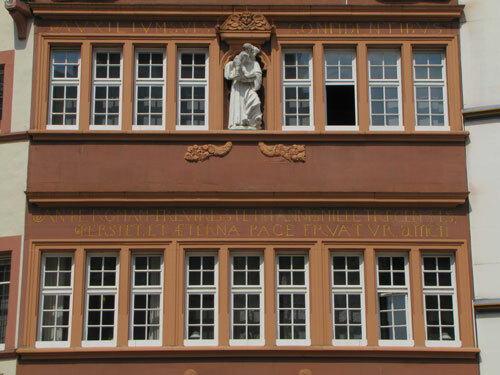 The most important inscription tells of the legend that Trier is 1300 years older than Rome. 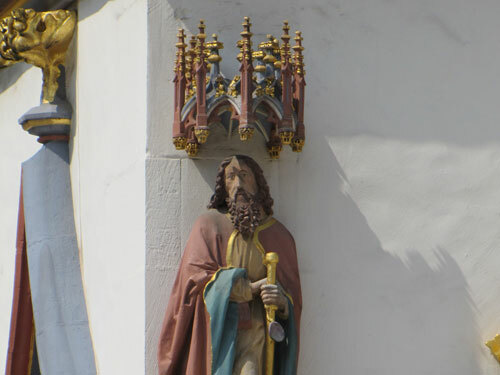 Another inscription points to St. Anthony, the patron saint of the house. 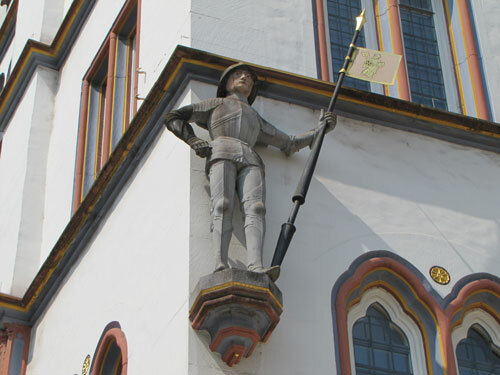 The statue was created in the workshop of a well-known sculptor in Trier at the end of the 17th century.